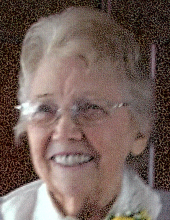 Joyce B. Ferguson, 88, of Medina, OH passed away Thursday, January 24, 2019 at Akron General Hospital following a sudden illness. She was born in Medina on April 9, 1930 to John and Effie (Grissinger) Butdorff. Joyce spent her childhood in the Medina and Wayne County areas and graduated from West Salem H.S. in 1948. She married James Ferguson in 1949 and began raising their family. Joyce obtained her teaching degree and later earned her Masters in Education from Ashland University. She taught for 30 years in Wayne County, mostly in the Northwestern School District. She also substituted in the Ashland City School system. She was a member of the Seville United Methodist Church and previously was a member of West Salem and Trinity United Methodist churches. She was also a member of the Order of Eastern Star in West Salem. She was preceded in death by her parents and 6 siblings. Visitation will be Sunday, January 27 from 2:00 to 5:00 PM At Parker Funeral Home, 210 Medina St. Lodi where the funeral service will be held Monday at 10 AM. Reverend Donald Trigg and Steve Brewer will officiate. Interment will follow at Trinity United Methodist Church Cemetery in Polk, OH. Memorial Contributions may be made to Seville United Methodist Church, 74 West Main St. Seville, OH 44273. "Email Address" would like to share the life celebration of Joyce B. Ferguson. Click on the "link" to go to share a favorite memory or leave a condolence message for the family.